The thought of me walking the catwalk in my fabulous mesh tank top is the last thing you want to envision, but that is not the type of modeling I am talking about. As educators, one of the things we need to constantly remember is that we need to do much more showing than we do telling. There are many ways for us to show our students how to do something instead of just telling them. I've done it in many different ways. For blogging, I made sure I was comfortable with my blogging skills before I had students do it. For one year, I actually completed all of the blog posts I assigned to my students so I could show them what I was looking for in a completed blog post. When we read plays in class, I'm the first person to stand up and take the silly voice and run with it. I want my students to feel comfortable to be silly and have fun, so I make sure I can be silly and that I have fun. If I want students to feel comfortable failing and not knowing something, I make sure to never hide my failures and admit when I'm stumped. I will never ask something of my students that I'm not willing to do my self. Modeling is key for admins. If you want teachers to do things, model it for them. Give them an example to follow. Show them instead of just telling them. If you want to see teachers use more technology in the classroom, use more technology in staff PD. If you want to see more student centered classes and engaging lessons, show that in meetings. Last year, we had PD days designed that got us up and moving. We took trips downtown and to a local historical museum. We used our mobile devices to engage in questions and enhance/facilitate discussion. This was an excellent example of modeling. Another part of these PD days was that there were teachers involved in the planning of the days. The teacher voice was present to help make it meaningful to everyone involved. How often do we give students a voice before or after a lesson? Students watch us like a hawk. They take our lead every day. If we come into class with big smiles and high fives, they will mirror that enthusiasm. If admins walk in to a meeting with a rain cloud over their head, the teachers will prepare for the worst. We all need to model the best for our students and staff. This is the strategy that will support a culture of learning and growth as a person. 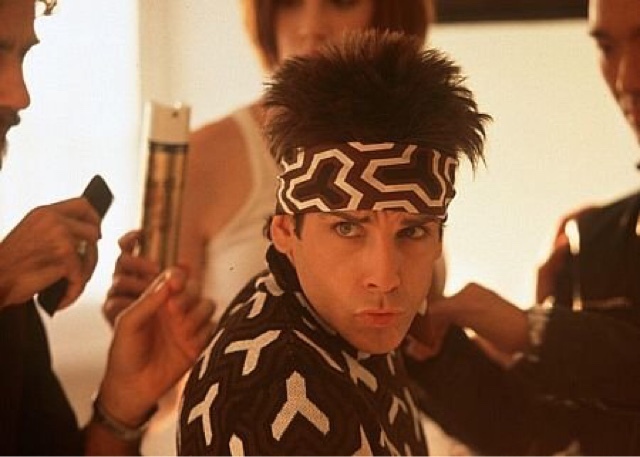 Put on your best "Blue Steel" impression and get out there.